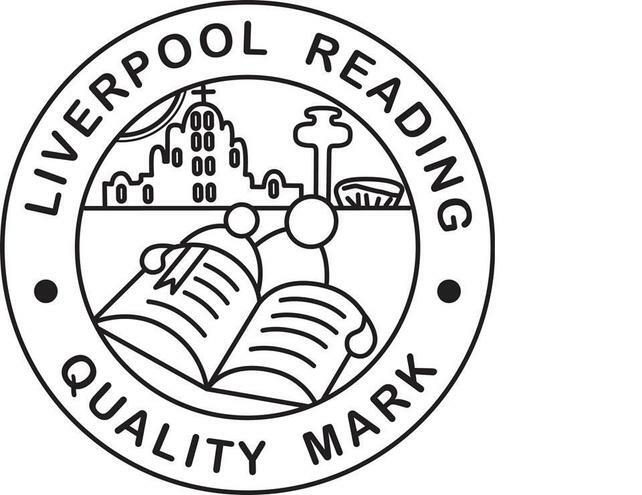 We are delighted to have been awarded a Gold Level Liverpool Reading Quality Mark following a year-long project to create a positive reading culture around the whole school and show our pupils that reading is fun! We done lots of things in the past year to get our children reading more – see how many of these you remember! Our children wanted to be able to have the opportunity to go and read in the library during break times and lunch times, so a lunchtime library club has been set up where children lead their own reading in our library. Reading Ambassadors have also had a strong influence on the choice of books purchased for the school and class libraries. Our Staff share recommendations with pupils through displays in class and during the weekly timetabled Drop Everything And Read session. Our Year 2 children have begun to buddy up and read with the Reception children. All classes have weekly visits to the school library for independent reading. Every week the teachers choose a star reader to receive a reading award in assembly and children are rewarded daily with reading stickers and praise. Also, every week the winner of the Attendance and Punctuality prize receive a book token worth £10. We have invited the children to take part in the ‘LIPA Reading Challenge’ in the build up to World Book Day, with three awards: Bronze award – 10 books; Silver award – 20 books and Gold award – 50 books. We have made strong links with Toxteth Library - all children have registered with the library and have library cards and staff each took out a class library card too. We have also developed partnerships with other schools (Wavertree C of E Primary and Hesketh All Saints Primary) and invited them to visit and read with their children. We have also run a Facebook campaign called #GetCaughtReading, showing our pupils reading their favourite books in a range of locations! Book Club takes place every Wednesday after school and children from across the school get together to share a range of stories. The school has also drawn on the knowledge and expertise of The Reader to support parents. A representative of The Reader attended Reading Oasis (the school’s library launch event) and then in turn the school were invited to The Storybarn at Calderstones. The school have held a number of ‘Fab Fridays’ which are reading events for parents or carers. The school has also introduced half termly ‘Stay and Read’ sessions for parents and carers towards the end of the school day. The school is also very lucky to be able to access LIPA’s Widening Participation, which enables them to work with past LIPA students in activities such as drama, dance and storytelling. The school has invited local authors in for example Marie Darwin who wrote a book about Paul McCartney and this was part of their Magical Mystery Tour project.